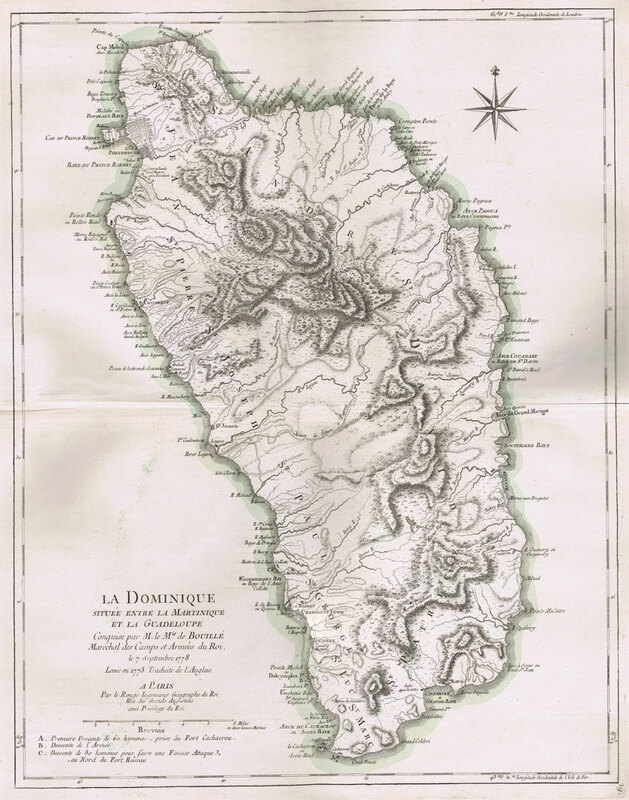 Maps and prints of Dominica for sale. All are originals. I do not sell reproductions. 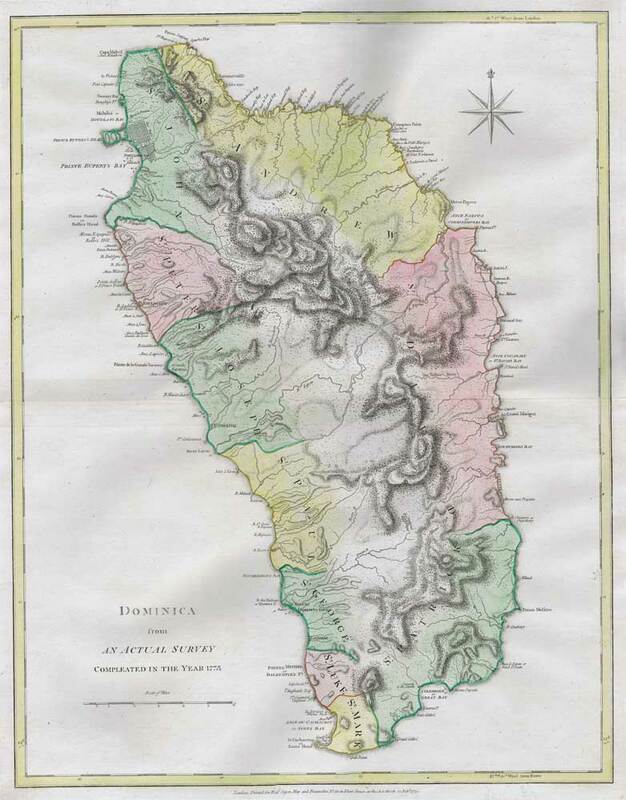 A detailed listing of the early maps of Dominica has been published. 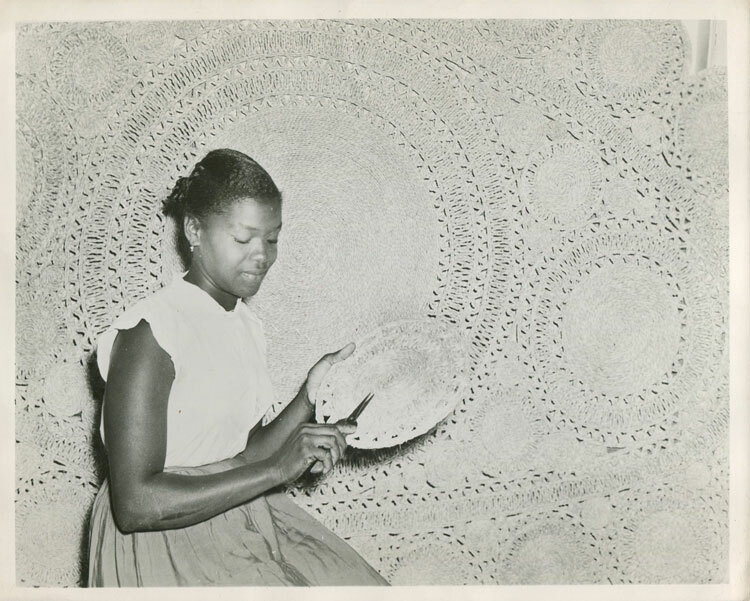 'The printed maps of 'Dominica and Grenada' was published by the Map Collectors' Circle in 1972. Post and packing is extra. After placing an order you will be advised what the total charge is by e mail. Cheques are also acceptable. 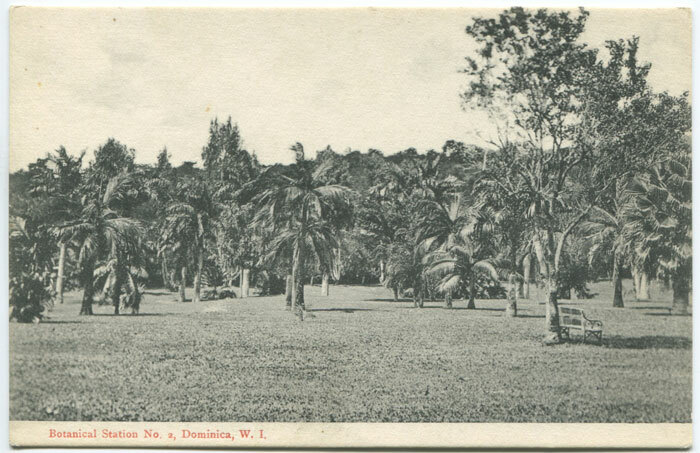 JEFFERYS Thomas Dominica from an Actual Survey compleated in the year 1773. Hand coloured engraved map with large margins. Fine condition. 19 x 24"
LE ROUGE La Dominique située entre la Martinique et la Guadeloupe. - Conquise par M. le Mis de Bouille Marechal des Camps et Armees du Roi, le 7 Septembre 1778. Levee en 1773 Traduite de l'Anglais. Large engraved map with hand coloured outline showing villages, roads and fortifications. Very fine. 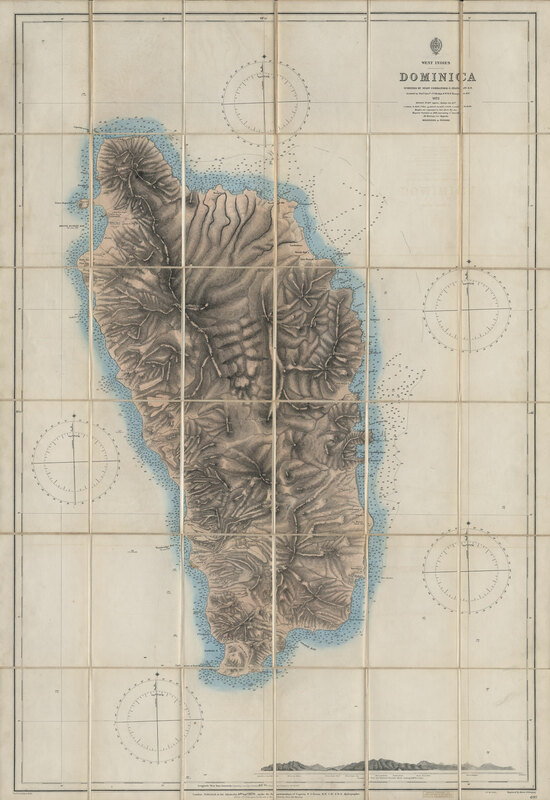 18½ x 24"
ADMIRALTY CHART Dominica. 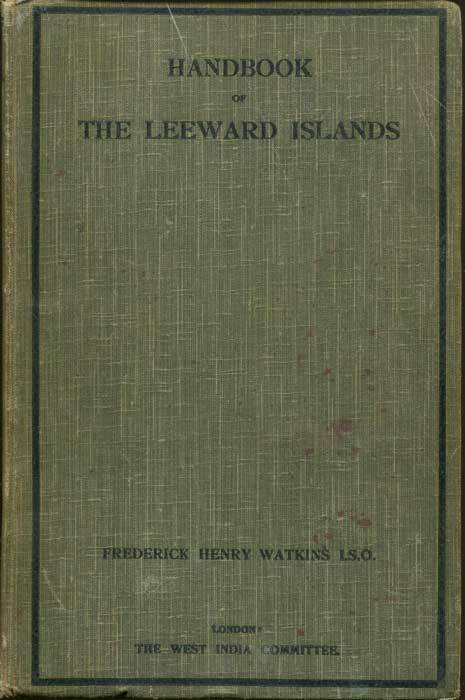 - Surveyed by Staff Commander G. Stanley R.N. assisted by Navg. Lieuts. J.T. Hoskyn & W.B.P. 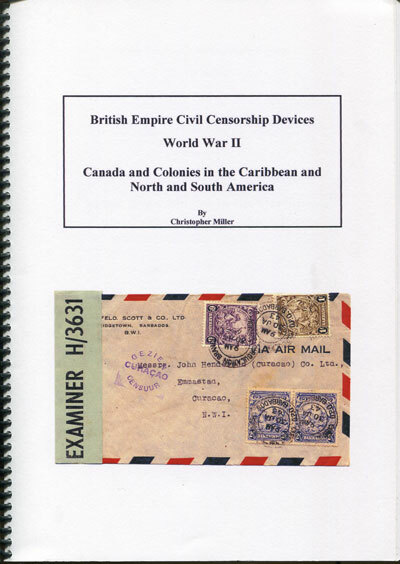 Thompson R.N. 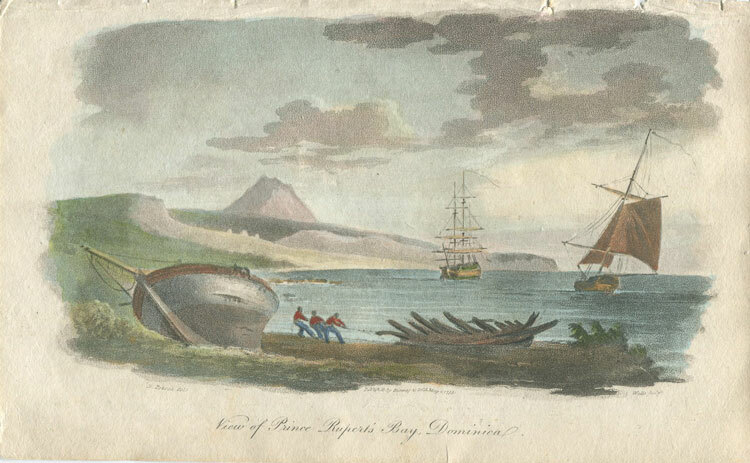 Large coloured folding chart on linen with small perspective vignette view of the island from the west at lower right. 26 x 38"